Everything that you will need. 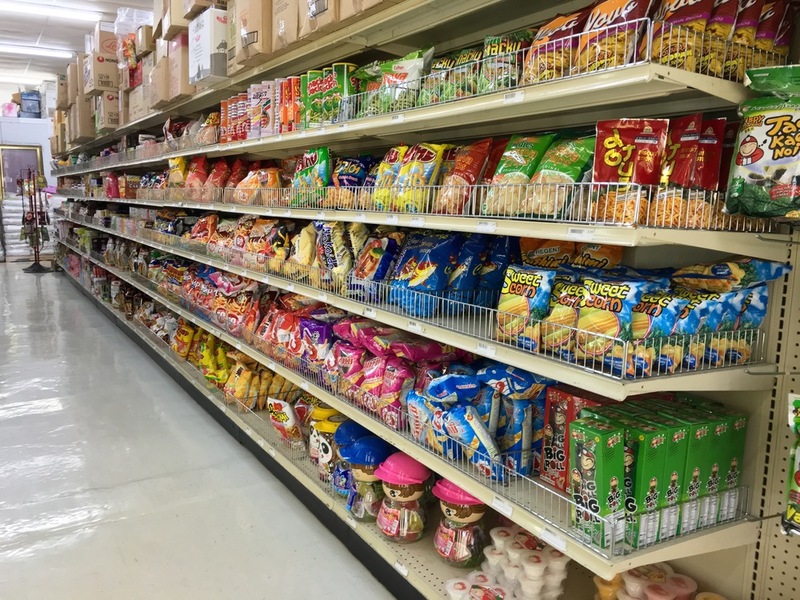 With a large variety of dry goods, canned goods, noodles, rice, candy, drinks, vegetables, exotic fruits, frozen seafood, kitchen products, and much more, our aisles are dedicated to the finest products from Thailand, Vietnam, China, Laos, Japan, Singapore, the Philippines, Indonesia, and Korea. To make your shopping more enjoyable and convenient, our store is well-lit, odorless, and easily accessible from I-440 and downtown Nashville. Come and browse through our store and see why we are the premier Asian grocery store in Nashville. Look through the aisles of quality products sold at low prices. At InterAsian Market, we pride ourselves on serving the highest quality produce we can. Our produce section is replenished weekly to make sure we have the freshest produce available. We carry an extensive selection of coffee candy, coconut candy, seaweed snack, shredded cuttlefish, prawn crackers, potato chips, cream wafers, crackers, and cookies. We offer a wide range of products including coconut milk, grass jelly, canned fruit, quail eggs, mushrooms, bamboo, pickled vegetables, sesame oil, fish sauce, oyster sauce, soy sauce, hoisin sauce, instant soup bases, sriracha, and sweet chili sauce. Our frozen section has just undergone a major remodel and now includes more energy-efficient models that complement our high quality frozen goods including potstickers, ice cream, meat balls, egg roll wrappers, sausage, seafood, and much more. With 14 refrigerated doors, InterAsian Market has a large selection of drinks, from soymilk to coconut water and coffee to tea. We have the perfect Asian drinks available for you. We sell the finest noodles available including instant noodles, rice noodles, rice vermicelli, pad thai noodles, rice macaroni, Japanese somen noodles, and much more. Jasmine rice, sticky rice, red rice, brown rice, sushi rice? InterAsian Market has all of these varieties and more available from 5 pound bags to 50 pound bags. We carry a wide variety of high quality coffee and instant coffee from China, Thailand, and Vietnam. Some of our bestselling brands include Cafe Du Monde, G7 Coffee, Trung Nguyen, and Vinacafe. Banh cuon, banh xeo, rice flour, sweet rice flour, tapioca starch are just some of the few flours we sell. Our kitchenware & equipment is stocked with the highest quality rice cookers, steamers, pots, pans, plates, bowls, and spoons.